Open daily 9:30 a.m. - 4:30 p.m. The museum is closed on Thanksgiving Day. • A free orientation film is shown throughout the day at the Visitor Center at Hall Tavern. • Museum Houses Guided Tours start on the hour. • Two museum houses are open all day for self-guided tours. • The Apprentice’s Workshop at Dwight House is open for demonstrations from 12:00 p.m.-4:30 p.m.
Plan your visit using our village map. Pre-arranged tours-by-appointment, school tours, and group tours can be scheduled by contacting (413) 775-7132 or tours@historic-deerfield.org. Saturdays and Sundays, 9:30 a.m.–4:30 p.m.
*Please note: The museum will be closed December 24-28, 2018. At the Flynt Center of Early New England Life: visitors can enjoy current exhibitions and "The Museum's Attic" gallery. Historic Deerfield’s museum houses are closed to the public during the winter months, however pre-arranged tours-by-appointment, school tours and group tours are scheduled. For more information,call (413) 775-7132 or e-mail tours@historic-deerfield.org. The museum will reopen for the 2019 regular season on Saturday, April 13, 2019. Tickets may be purchased online, at the Visitor Center at Hall Tavern, or at the Flynt Center of Early New England Life. General Admission tickets include any special programs scheduled during your visit. Learn more about our admission discounts. • Photography, video/audio taping, sketching, use of computer equipment, and cellular telephones are not permitted inside any museum buildings. Thank you in advance for your cooperation. 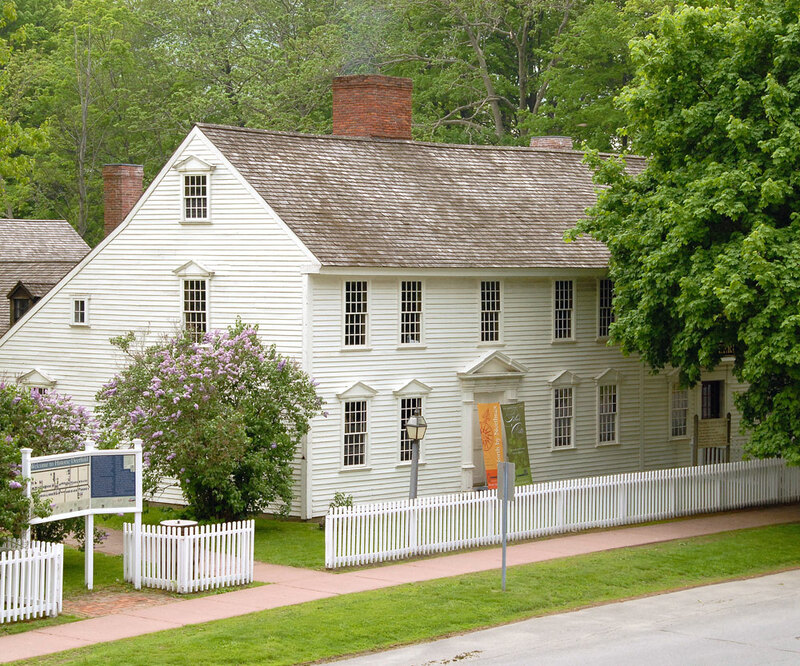 • Lost and found is located at the Visitor Center at Hall Tavern and at the Flynt Center of Early New England Life. • Children: Please leave baby strollers and back carriers outside of museum houses. Unaccompanied children may not enter museum buildings. • Pets are welcome on leashes outdoors in the village, but not on the Channing Blake Footpath because of its proximity to farm animals. No pets are allowed in any museum building, except licensed assistance dogs. Please clean up after your pets.